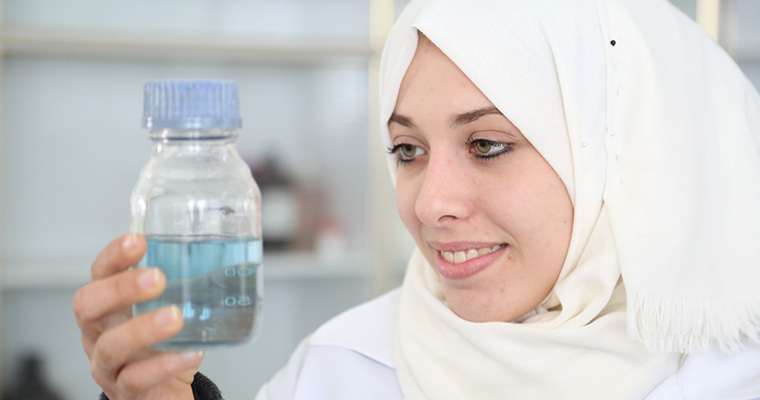 Clinical Nutrition is a new discipline of science where nutrition-related health problems, chronic diseases like obesity and diabetes in particular, are serious public health concerns in the Palestine. It is imperative to have technical experts to address the important issues and work towards health promotion in the community. The department is dedicated to implementing research, education, and outreach programs designed to promote a safe, nutritious, accessible, and affordable food supply that enhances human health. An appreciable demand for clinical nutritionists and dietitians was recognized recently as a crucial medical team member in the medical care process. Thus, the Bachelor in Clinical Nutrition program was introduced in 2105 in the Faculty of Applied Medical Sciences at Al Azhar University- Gaza. CND works collectively toward learning, discovering, and disseminating new knowledge and in applying novel technologies to achieve the departmental mission. Excellence and professionality in the field of Clinical Nutrition. Provide the students with outstanding educational experiences in the field of clinical nutrition according to international standards that develop their professional practices. Build the students' competencies of critical thinking, problem-solving and effective communication that help them dealing with various nutritional problems in collaboration with the health care team and other nutrition- related sectors. Integrate community service activities into the program to adopt healthy nutrition attitudes and behaviors and instill values of compassion, loyalty and belonging among students. The program aims at being recognized at national and international levels; to educate and train graduates as nutrition educators, consultants or researchers who take a position of leadership in nutrition sciences and dietetics in health agencies, food industry, educational establishments, media organizations, private sectors and community settings. Career opportunities for graduates of our program are excellent and include position titles such as nutritionist, dietitian, entrepreneur, food technologist, new product developer, owner, researcher, senior scientist, and food systems manager.